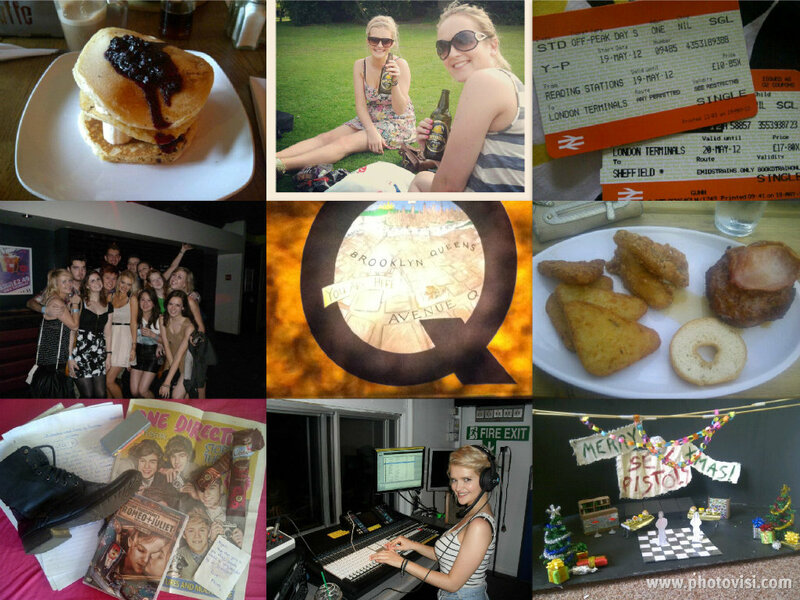 Yummy brunch at 'Giraffe'/ Cider and sun / Mini trip to Reading and London / Cheesy night out at Babylon / Avenue Q in Salford / Calorific Krispy Kreme burger / An standard parcel from my mummy / Looking 'cool' doing sound effects / Project that has been the bain of my life this week. What were the highlights of your May? Please do link me any monthly/weekly photo posts you might have done! I hope you've all had much less stressful weeks! p.s I'm also planning on uploading a new video tonight, so keep your eyes peeled for that!